Helles Munchener Lager is the golden everyday drinking beer in Munich. Less hop flavor & bitterness than Pilsner the main highlight of Helles is its bready, malty character. 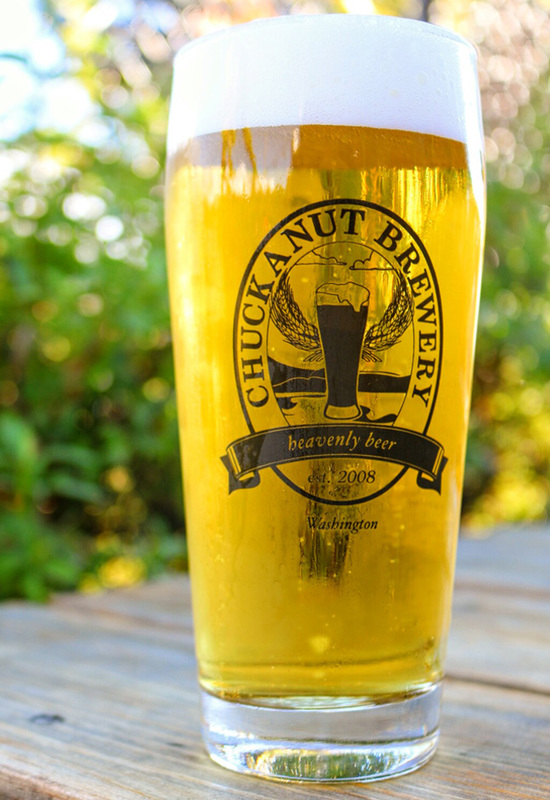 Chuckanut created a smoky style Helles to capture the unique smoky flavors of the Rauch lager with the gentle easy going nature of the Helles. Deep malty flavor spiked with mild smoky overtones make this an unusual and satisfying beer! Rauch Helles goes very well with grilled sandwiches and pressed Panini. Rauch beers are a fantastic food beer and this collaboration Helles Rauch is no exception. The smoky aroma and flavors pair great with ham, grilled seafood or even Sushi!